Alan Felsenthal runs a small presse called The Song Cave. With Ben Estes, he edited A Dark Dreambox of Another Kind: The Poems of Alfred Starr Hamilton. His writing has appeared in BOMB, The Brooklyn Rail, Critical Quarterly, Fence, jubilat, and Harper’s. 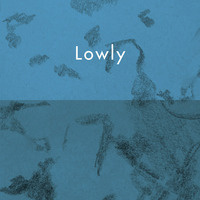 Lowly is his first collection of poems. Emily Skillings is the author of the poetry collection Fort Not (The Song Cave, 2017). Recent poems can be found in Poetry, Harper’s, Boston Review, Brooklyn Rail, BOMB, Hyperallergic, LitHub, and jubilat. Skillings is a member of the Belladonna* Collaborative, a feminist poetry collective, small press, and event series. She received her MFA from Columbia University, where she was a Creative Writing Teaching Fellow in 2017, and has taught creative writing at Yale University, Parsons School of Design, Poets House, and through Brooklyn Poets. Moderated by Mark Bibbins, Faculty, Creative Writing Program.